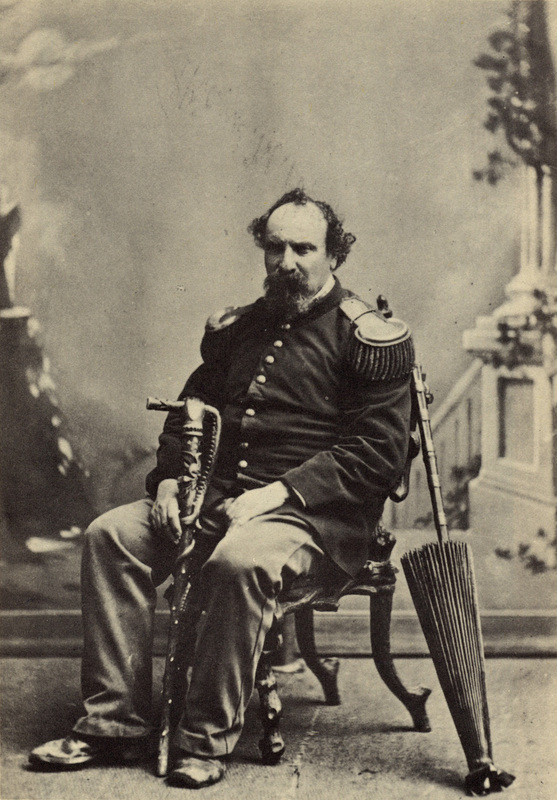 The slideshow gallery below presents a chronological series of artworks and designs that make use of previously existing photographs or artistic depictions of Emperor Norton. 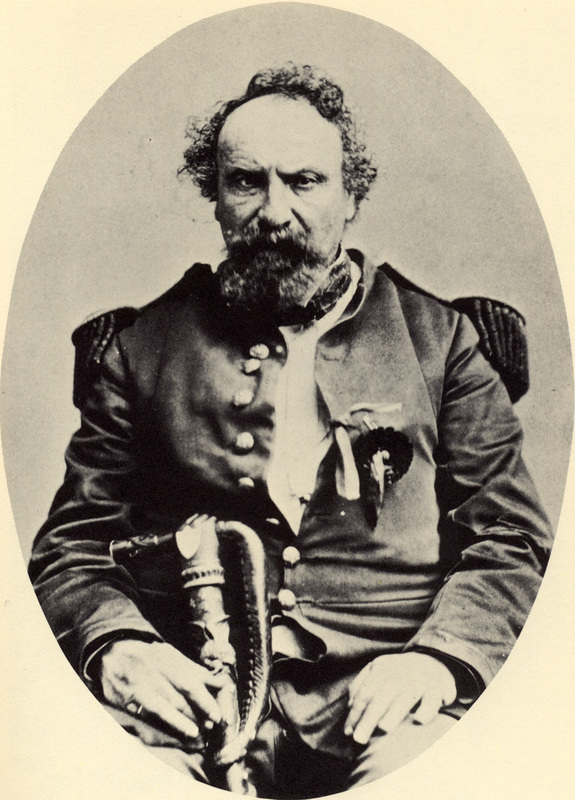 The gallery is part of the Visual Arts section of The Emperor's Bridge Campaign's ARENA: Archive of Emperor Norton in Art, Music & Film. Hover on each image to see a full description, including (where available) the artist, title, year, copyright and source information. Click to enlarge and / or to see the full work. Scroll below the following gallery for links to additional sections of the Archive. This curation seeks to be comprehensive but not exhaustive. 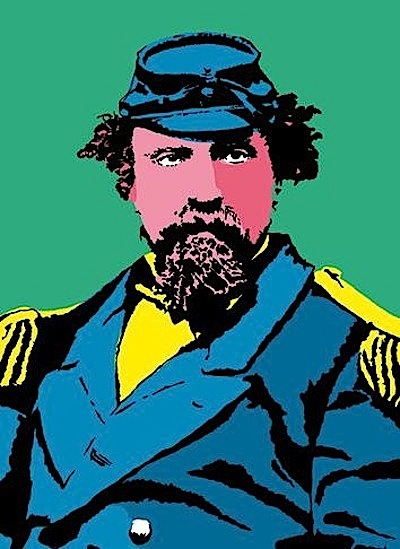 Emperor Norton poster (2006), by Joe Angiulo. This piece uses a detail from the c.1878 photograph here. (For more on the photo, see the description in our gallery here.) On view at Emperor Norton's Boozeland, San Francisco. © 2006 Joe Angiulo. Source: Joe Angiulo. Collage, c.2014, by Deborah Hayner (b. 1952) for Norton Dollars project of Richard Petersen. 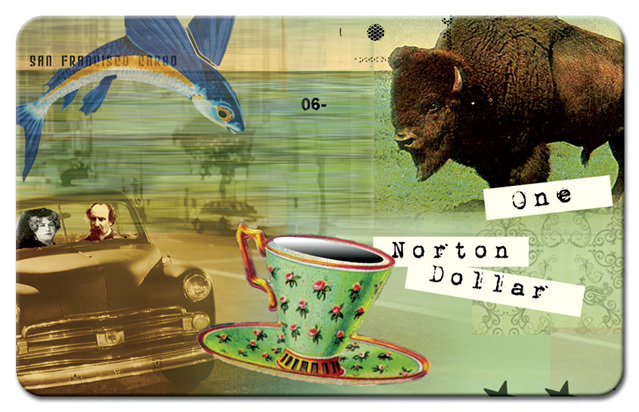 This artwork, used for a prototype Norton Dollars card, is a detail from one of Hayner's earlier concepts, which envisioned Norton Dollars as paper bills. The piece uses a detail from the late 1870s photograph here. (For more on the photo, see the description in our gallery here. )© Deborah Hayner. Source: Norton Dollars. 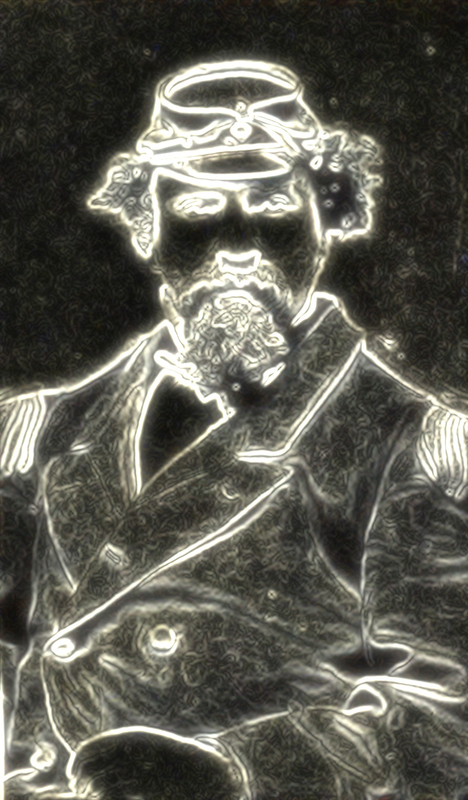 Photo illustration of Emperor Norton, 2015, by The Wall Street Journal. This illustration (which is based on the photograph here) appeared with an article that ran in the paper's 12 August 2015 print edition under the headline "In San Francisco, Subjects Still Long for Ersatz Emperor of Yore." (To view the print article, click here.) © 2015 Dow Jones & Co.
Photo illustration, 2016, by Jordan Brighton. 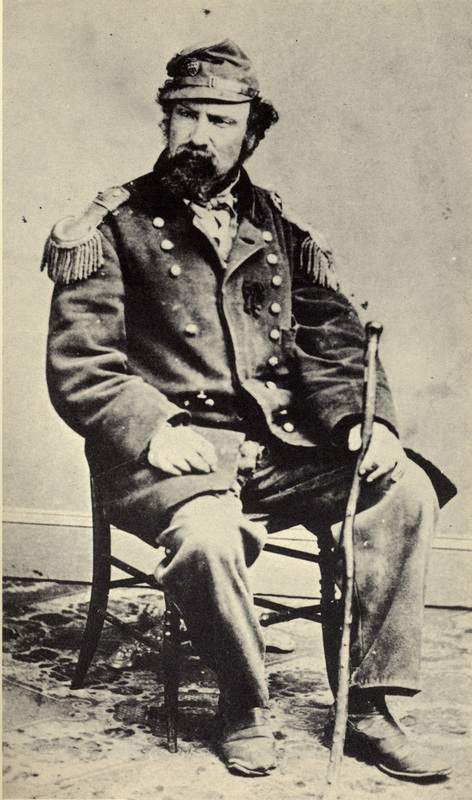 This piece is based on the c.1871–72 photograph here. (For more on the photo, see the description in our gallery here.) © 2016 Jordan Brighton. "Build Bridges Not Walls" pin, February 2017, by Aaron Almanza. 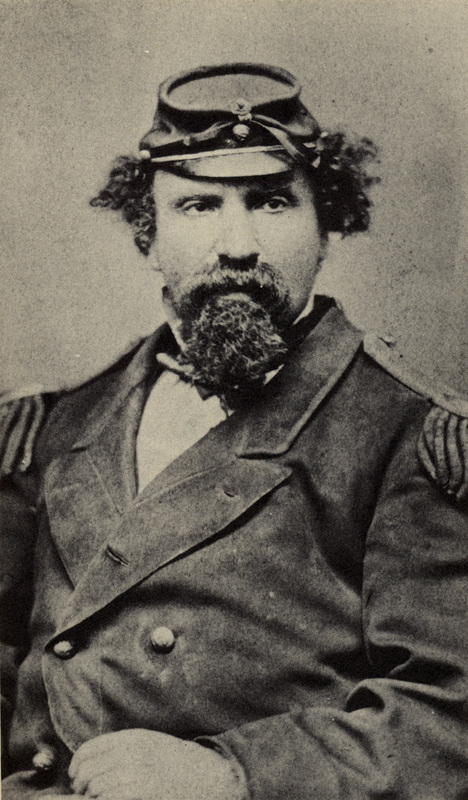 This pin features a colorized detail of an illustration of Emperor Norton, viewable here, that originally accompanied a front-page profile of the Emperor that appeared in the San Francisco Chronicle on 9 November 1879. © 2017 Aaron Almanza. Photo: John Lumea.